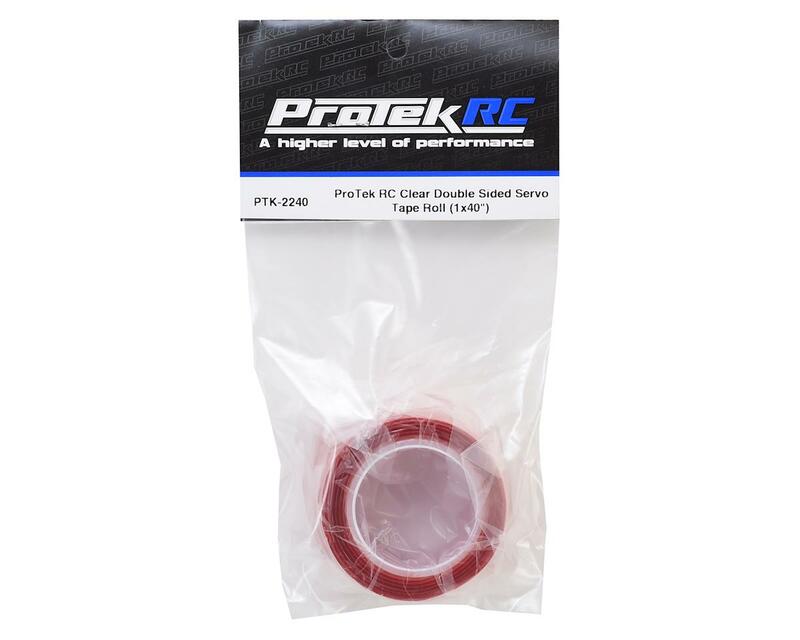 ProTek R/C Clear Double Sided Tape is a 40" long roll of the 1" wide clear double side tape that has become a must have for RC use. 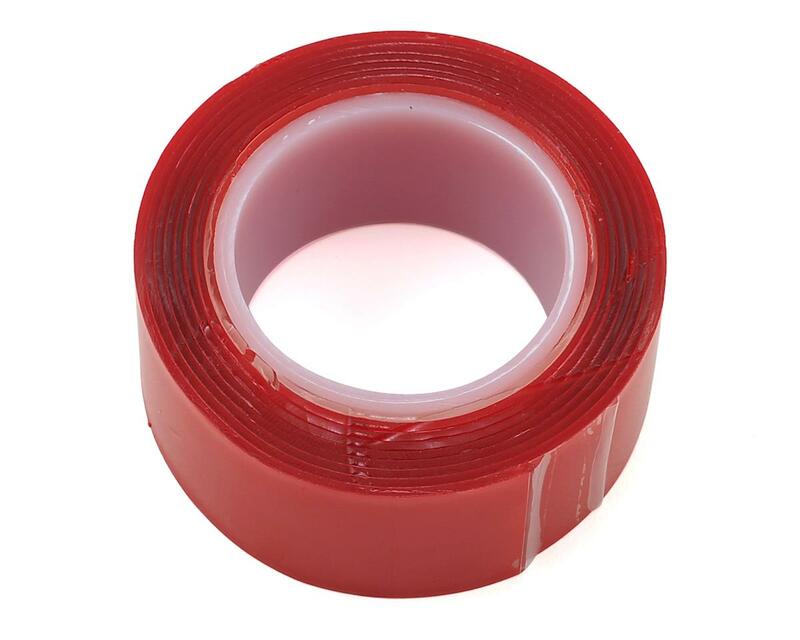 This tape is 1mil thick and is perfect for securing receivers, ESC's or transponders to your RC car. The adhesive on the tape will keep your device securely fastened where you want it, yet the material remains easy to remove and leaves no residue behind. The waterproof, heat resistant properties help it stand up to the elements, and the soft, flexible material will conform to curved or uneven surfaces, and helps to reduce vibration to the component. Perfect for cars, trucks, boats, helicopters, drones, rock crawlers and more! This tape works like it's intended to- from fans to escs to receivers, it works perfect! The best stuff I have used. You can even use it to mount a fan to cool off a motor in a buggy, I have thrown away all my other mounts because of this. When you remove the tap, simply stretch it sideways and it will release, no residue. Waterproof to an extent. Acts more like a glue than tape, but no mess! Hands down best servo tape out there! Even while submerged, this tape did not let loose. Easy to use and super sticky and no residue when I pulled it off of the surface! The tape is the best I have ever used. I use it on all my electronics as well as holding my battery in my YZ2 DTM. I never have to worry if I'm going to have a failure when it comes to this Would highly recommend to everyone! Good stuff. yes an exacto makes it way easier to peel the backing off. This is as good as any servo tape out there. I use it for my receivers, escs, switches etc... So much better than the foam type servo tape. Just don't touch it with your fingers - use a X-acto blade to peel the backing. Also, it's better to apply it when temps are warmer. I don't know what these guys are talking about because this stuff doesn't stick that great. The magical goo from the depths of my taint are sticker than this.